According to Lt. Gen. Andrey Yudin, the Russian Aerospace Forcesare rearming with modern multi-purpose aircraft. ARMAVIR (Russia), (Sputnik) — Equipment of the Russian Aerospace Forces has been renewed by more than a half, the forces deputy commander, Lt. Gen. Andrey Yudin, said Tuesday. "We are rearming with modern multi-purpose aircraft, in particular here in the south of Russia, with Su-30SM, Su-35S, new helicopters. 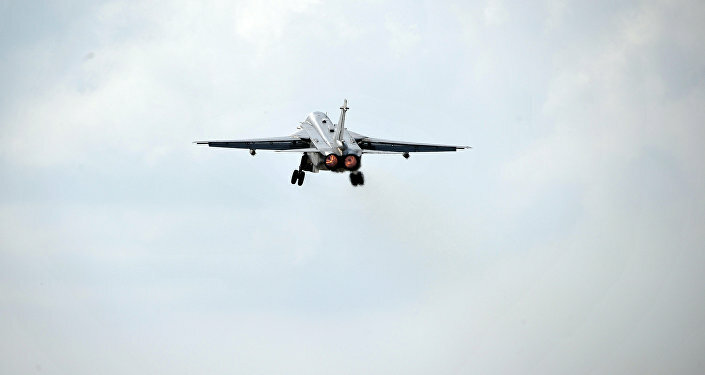 In general, the aviation fleet has been seriously renewed and can successfully perform any tasks," Yudin told reporters at the Armavir aviation school in southwestern Russia. He added that the share of modern equipment at the Russian Aerospace Forces amounted to 52 percent and the forces were expecting to obtain several hundreds of new equipment units by the end of 2016. In 2015, the Russian Aerospace Forces obtained 10 modernized strategic bombers, over 240 aircraft, 90 anti-aircraft missile systems and complexes, as well as more than 200 radar systems.